If, as many expect, Secretary of State John Kerry comes up as empty as all of the U.S. leaders before him who have tried to broker Middle East peace, it will be due in no small part to the lingering influence of an extinct superpower. Like his predecessor, Yasser Arafat, Palestinian Authority President Mahmoud Abbas was handpicked, trained and funded by the KGB to head the Palestinian Liberation Organization and help advance Soviet-style communism in the Middle East in the wake of the defeat of proxies Egypt and Syria in the 1967 Six-Day War with Israel, says a top Soviet bloc intelligence officer at the time. Some people have the vocabulary to sum up things in a way you can understand them. This quote came from the Former Premier of the Czech Republic. Someone over there has it figured out. După câteva decade în care au nivelat diferențele puterii de cumpărare între americani și europeni (prin scăderea drastică a puterii de cumpărare a americanilor), păpușarii lumii cred că a venit vremea să dea pe față scopul urmărit: unificarea economică! Talks aimed at creating the world’s biggest free trade zone have opened in Washington. 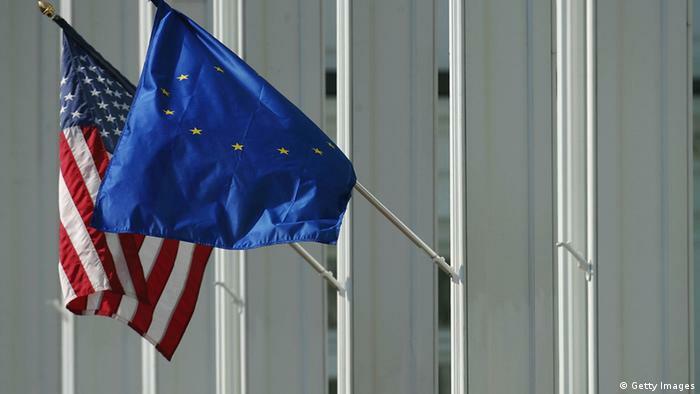 A deal would mean billions in additional economic activity between the US and EU. But there are major stumbling blocks to overcome.